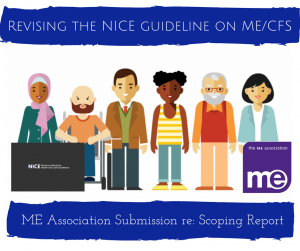 As part of the continuing review of the current NICE guideline for ME/CFS, the ME Association as a stakeholder in the process responded last week to the draft scope report. This submission is set out for you to read below and the original is available as a download. We are very grateful to everyone who took the time to share their own opinions with us. The next phase of the process will see the appointment of the guideline committee – including 4 lay members from the ME/CFS community (the deadline for applications closed last week). The committee will then get to work with its first meeting expected in November. Over the next 70 weeks the committee will redevelop the existing guideline with a view to seeking feedback from stakeholders on the new draft guideline during the next consultation period; expected in April 2020. 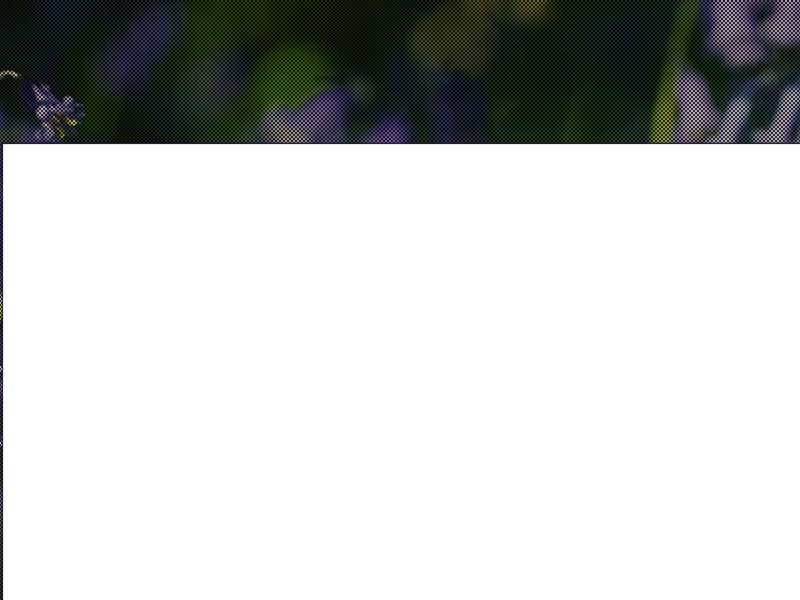 The ME Association (MEA) welcomes the fact that NICE has accepted that certain parts the current NICE guideline on ME/CFS are not fit for purpose and has been listening to the views of people with ME/CFS, and the charities that represent them, during the process of preparing the scoping document. Having taken part in the stakeholder’s meeting on May 25th to discuss the previous version of the scope, where we raised a number of concerns and suggestions, we are pleased to note that some – but not all – of these have been accepted. Following publication of the revised scoping document, MEA trustees have reviewed the new content. We have also given our members the opportunity to pass on comments. We continue to have a number of concerns and suggestions for improvement. These are set out below. We must also return to a matter of great concern to the ME patient community and something that has been raised in both correspondence and during the stakeholder’s meeting on May 25th. This relates to the recommendation in the current NICE guideline that everyone with mild or moderate ME/CFS should be offered a course of CBT and/or GET. Serious concerns have been raised by clinicians and researchers about the accuracy of the results relating to outcome from the main clinical trial – The PACE trial – upon which these two approaches are based. Members of parliament, speaking during the recent parliamentary debate on ME/CFS, have also raised the same concerns. It was pointed out during the debate that for NICE to continue providing this recommendation until the new guideline appears in October 2020 places NICE at risk of litigation if people come to harm as a result of being coerced into having these treatments as a condition for obtaining or continuing to receive state or private sickness/insurance benefits. In addition, the CDC in America has recently updated their guidance on the management of ME/CFS. This guidance no longer makes any recommendation regarding the use of GET and issues a clear warning about the use of inappropriate activity management and exercise regimes. The CDC now recommends that people with ME/CFS should adopt an approach to activity management that is based on the principles of pacing – something that patient evidence consistently reports to be acceptable, safe and effective. We therefore ask NICE to remove this recommendation from the current guideline. Or to issue some form of written warning to all health professionals about the use of these two treatments. The inadequate response from government departments in relation to the funding of biomedical research and provision of NHS services for a disease that causes a very large economic loss to the UK economy. We welcome the decision to use the composite term ME/CFS in the new guideline and hope that NICE will acknowledge that chronic fatigue syndrome (CFS) is not a suitable alternative name for this illness. CFS fails to reflect the fact that this is a serious and complex multisystem disease. The use of this name also encourages physicians to use CFS as a diagnostic label for anyone with unexplained chronic fatigue. It is akin to naming dementia as a chronic forgetfulness syndrome. Many of the current diagnostic criteria in use fail to recognise that post-exertional malaise/symptom exacerbation is a key diagnostic feature of ME – so a diagnosis of CFS does not necessarily equate to a diagnosis of ME. The MEA believes that the term CFS is not acceptable and should be removed from common usage. This omits three key diagnostic features of ME/CFS – activity induced fatigue (mental and physical), post-exertional malaise and symptom exacerbation, and fluctuation of symptoms (although the latter feature may not apply to those at the severe end of the clinical spectrum). Post-exertional malaise (PEM) is the worsening of symptoms following even minor physical or mental exertion, with symptoms typically worsening 12 to 48 hours after activity and lasting for days or even weeks. The effect on everyday life should also refer to the fact that several studies of functional impairment in ME/CFS have shown that the effect on the level of disability and well-being can be as great, or greater, than for many other serious medical conditions, including cancer and heart disease. As the scope infers, problems with late and misdiagnosis are being compounded by having over 20 different clinical and research definitions for ME, CFS and ME/CFS. Clinicians need a simple straightforward definition for use in the consulting room – one which incorporates and emphasises the main diagnostic features – activity induced muscle fatigue and post-exertional malaise/ symptom exacerbation, autonomic nervous system dysfunction, neurocognitive dysfunction and unrefreshing sleep – all of which commonly follow an acute infective episode or other form of immune system stressor. While the MEA does not endorse the proposal for a new name for ME/CFS – systemic exertion intolerance disease/SEID – that is contained in the Institute of Medicine report, there is merit in the way that these key symptoms are included in this definition. Serious consideration should be given to the way in which ME is defined in the London criteria. This should also include reference to the current research involving neuropathology, mitochondrial dysfunction and muscle energy metabolism, and metabolomics. The use of multiple diagnostic criteria, which vary from narrow to broad in the way that they define ME, CFS and ME/CFS, in epidemiological studies has also led to a confusing situation whereby widely varying prevalence rates are reported in both adults and children. NICE should acknowledge that a small but significant proportion of health professionals still take a dismissive or even hostile attitude to ME/CFS. Such attitudes are both harmful and unprofessional. Others believe that ME/CFS is a self-perpetuating mental health condition. There is clearly a desperate need to improve medical education on both diagnosis and management at undergraduate and postgraduate levels. We expect NICE to refer to this in the new guideline and it would be reassuring to see this intention being included in the scope. There are additional safeguarding issues… (add safeguarding). The current guideline includes a clear recommendation regarding the need for management plans to form part of an on-going management programme. Patient evidence indicates that management and care plans are welcomed but are the exception rather than the rule. A comprehensively written management and (where appropriate) care plan that is prepared by all the health and care professionals who are involved is a very useful tool for patients to have – especially those with moderate to severe ME/CFS. A reference to management and care plans should therefore be included in the scope. The guideline is also for health professionals who carry out medical assessments for DWP benefit claims. The guideline will also be relevant for (not may also be). Equality considerations: Should also refer to access to dentists, opticians etc. I raised the issue of post-viral fatigue syndrome (PVFS) during the scope stakeholder’s meeting. The name PVFS is often used to describe people who are taking longer than usual to recover from an acute infection and who may (or may not) progress to developing ME/CFS. The new guideline needs to address the diagnosis and management of people with a PVFS (as did the Chief Medical Officer’s Working Group report on ME/CFS) and how to decide when and how an often short but self-limiting PVFS is/may be developing into ME/CFS. We believe it is essential that, as with the new guidance from the CDC on ME/CFS, there is a separate section covering issues that are specific to people with severe ME/CFS. suitable out-patient and in-patient facilities for those who require hospital care. As was raised during the scope stakeholder’s meeting, management of ME/CFS is not just about providing information and guidance on activity management and symptom control. It is also about improving the general well-being of people with this illness. social and respite care for those who are severely affected. These are very important aspects of management aimed at improving quality of life and need to be included in the new guideline. The information here is presumably standard wording at this stage of a NICE guideline preparation. It does, however, fail to appreciate that several of the drugs used for symptom control in ME/CFS (e.g. amitriptyline for pain and sleep disturbance; melatonin for sleep disturbance in children) are not licensed for this use in ME/CFS. The same situation applies in many other chronic disabling conditions. The provision of a patient information sheet can be useful here. As raised during the stakeholder’s meeting, there is obviously no effective treatment for the underlying disease process. While it can be helpful to refer to existing NICE guidelines on the management of symptoms such as neuropathic pain and irritable bowel syndrome, control of key symptoms such as orthostatic intolerance and PoTS, bowel symptoms and nausea, pain (which may be musculo-skeletal, arthralgia or neuropathic in character) and sleep disturbance must be properly addressed in relation to the extent and characteristic manner in which these symptoms affect people with ME/CFS. Equally, the diagnosis and management of co-morbid conditions which may co-exist with ME/CFS (e.g. fibromyalgia, hypermobility syndromes, migraine type headaches, mast cell disease) needs to be included and not just linked to existing NICE guidelines on these conditions. In view of the fact that there is a very serious problem with the lack of medical education about ME/CFS at both undergraduate and postgraduate levels, this is a subject that requires greater emphasis. Whilst appreciating that recommendations relating to the actual delivery of NHS services, especially hospital-based referral services, is outside the remit of a normal NICE guideline, we believe it is vital that reference is made to the current highly unsatisfactory ‘post code lottery’ situation whereby many Clinical Commissioning Groups do not believe that ME/CFS is a priority for referral service funding or development. As a result, a significant number of the hospital-based services – that were set up with the Department of Health funding that followed the 2002 Chief Medical Officer’s report into ME/CFS – are now being downgraded or closed. In addition, there are very few hospital-based referral services for children and adolescents. Domiciliary and in-patient services for people with severe ME/CFS are non-existent in many parts of the UK and appropriate out-patient services are often impossible to reach for patients with this level of disability. There is no point in preparing management guidance if there are no hospital-based specialist services there to deliver this guidance. NICE cannot ignore this crucial issue. As raised during the stakeholder’s meeting, NICE needs to also look for (often non-existent) objective measures of outcome when assessing the results from clinical trials. Most clinical trials, especially those assessing the value of behavioural interventions, fail to make use of any form of objective outcome – e.g. the use of actometers to measure activity levels, changes to DWP benefit status, education and employment status. This is a serious defect in the way clinical trials are carried out and included in any evidence base review – as will be produced for the new NICE guideline. It is interesting to note that when an objective measure of outcome was used in the PACE trial (i.e. DWP benefit status) the overall amount of benefit being claimed actually increased. When looking at outcomes, NICE will also need to compare and query why there are seldom any reports of harm from GET in clinical trials whereas patient reports from a clinical setting frequently refer to adverse effects following GET.